A Trentino summer vacation : nature, sport, relax and entertainment! An active holiday surrounded by the natural landscape of Val di Sole in Trentino, a valley embraced by two parks, Adamello Brenta Nature Park and Stelvio National Park. Enjoy many memorable moments and guaranteed fun for everyone. Discover Val di Sole and its surroundings by bicycle. 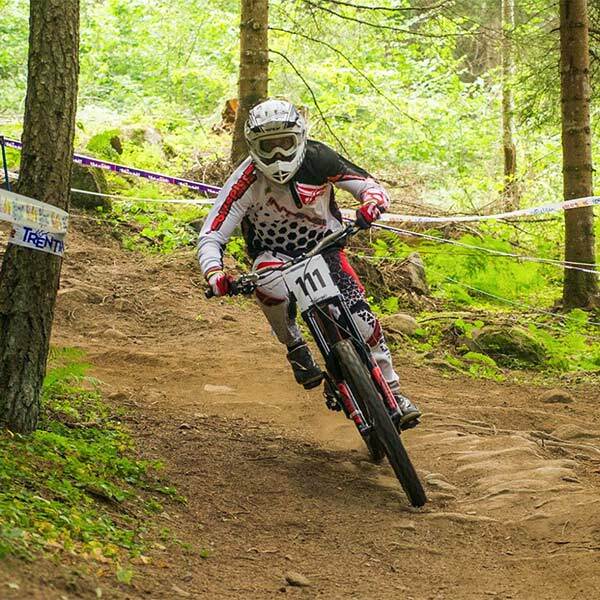 The 35 km bike trail which crosses Val di Sole from one end to the other has been planned in such a way as to accommodate cyclists of various abilities. More experienced cyclists can practice their skills on the vast network of dirt roads which are located throughout the valley. A world of water, adventure and adrenaline. 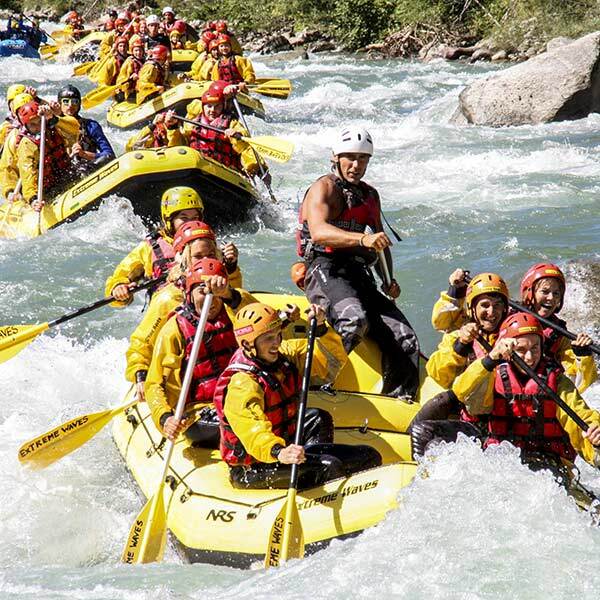 The Noce River, ranked as one of the best rivers in Europe for rafting and other water sports, offers the unique opportunity to experience rafting at its finest with family and friends. Hike amongst the mountain peaks, alpine huts and pastures. 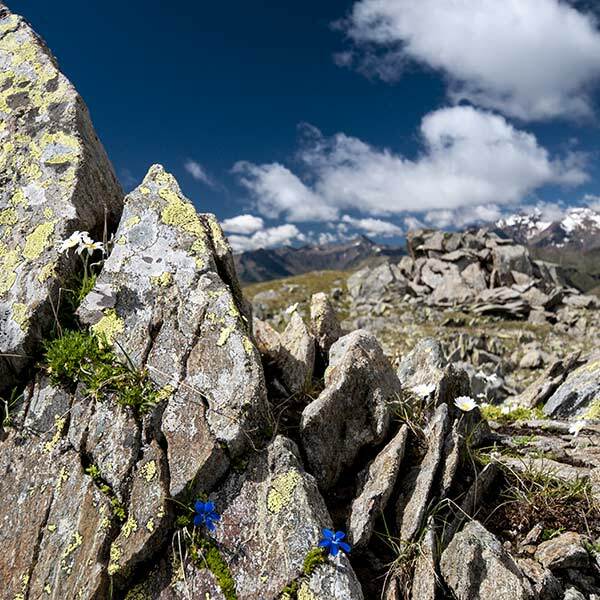 Enjoy the genuine alpine summer ; breathtaking landscapes viewed from remote summits, mountain top dining in alpine refuges, uncontaminated mountain pastures and much, much more. Stay fit with Nordic Walking. Enjoy all the benefits that Nordic Walking has to offer. 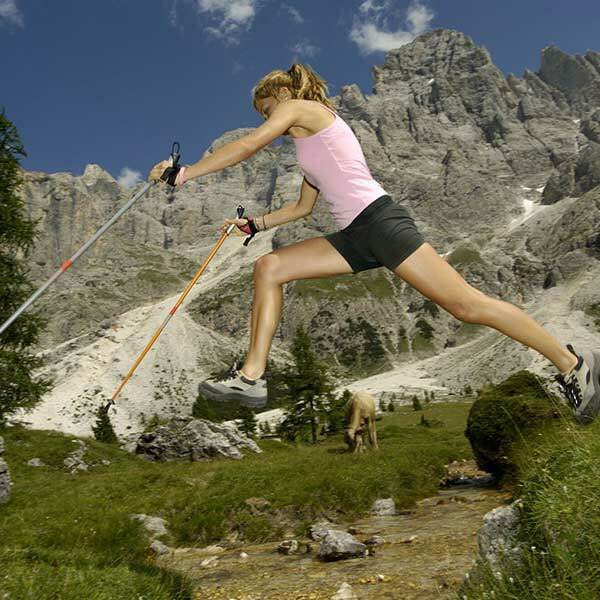 Easily tone legs and arms on the paths of Stelvio National Park and Adamello Brenta Nature Park. Val di Sole has more to offer than just sports and outdoor activities. Come and discover the rich culture and local history in the myriad museums, churches and castles situated throughout the valley. Many ancient trades have been maintained throughout the centuries and are still a very relevant part of the valley’s culture and traditions, such as sheep farming and wood working from which many natural and genuine products are created.